Chamomile is one of the best known healing herbs that has been a key ingredient in medicine and topical skin treatments for centuries. 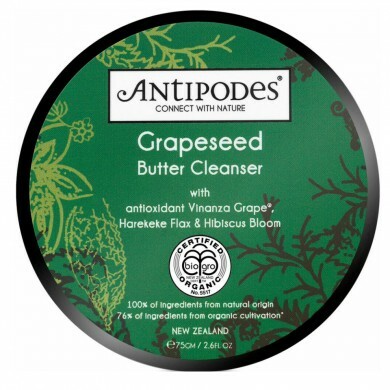 This common flower found..
Antipodes Grapeseed Butter Cleanser is an award-winning butter cleanser that combines nourishing cacao butter with soothing oils and quintessential Vinanza Grape antioxidant from New Zealand's sauvignon blanc grape seeds. It helps repair free radical damage and is scientifically shown to have one of the world's highest levels of antioxidants from grapeseeds. 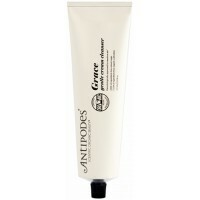 Designed to soften and moisturise, this enchanting cleanser leaves your complexion feeling amazingly fresh and deeply cleansed. 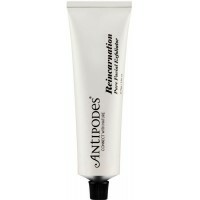 While lavender and blue chamomile extracts soothe and calm sensitive skin. 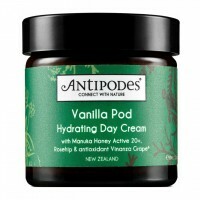 For all skin types, particularly mature and ultra-dry. Certified Organic. How to use: Gently massage in a circular motion into face, neck and decolletage morning and evening, removing impurities and softening skin. Rinse off using a face cloth and warm water. 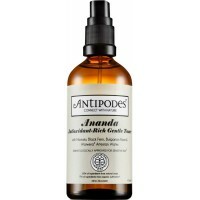 Antipodes Skincare is a collection of natural and certified organic beauty products. 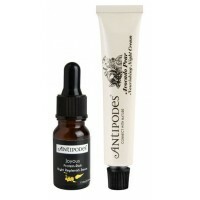 Their effective skin care brings you the best of nature and is formulated using high potency botanical extracts and oils. 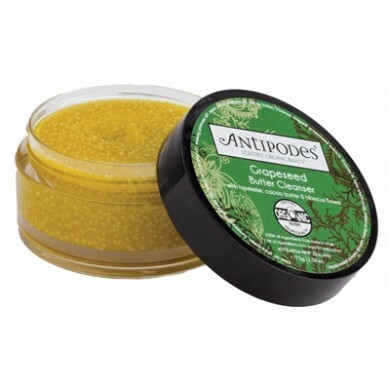 All Antipodes skin care products are free from parabens, sodium lauryl sulphates, synthetic fillers/silicon, mineral oils, petrochemicals, artificial colours/fragrances, GE ingredients or GMOs. 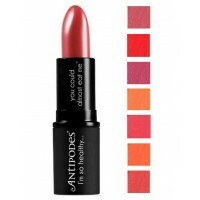 Ingredients Olive Oil**, Shea butter, Harekeke flax seed oil**, Coconut oil**, Jojoba oil**, Beeswax, Silica, Cocoa butter, Vinanza Gold grapeseed extract, Sorbitan isostearate, Blue chamomile, hibiscus flower, Lavender oil, naticide (fragrance & preservative), Benzyl alcohol, Vitamin E. - ** Certified organic ingredient. 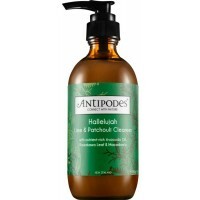 Antipodes Hallelujah Lime & Patchouli Cleanser is a highly effective fragrant cream cleanse..
Antipodes Reincarnation Pure Facial Exfoliator is a certified organic facial exfoliator that is very..
Antipodes Ananda Antioxidant-Rich Gentle Toner is a certified organic facial mist toner that brings ..
Antipodes Vanilla Pod Hydrating Day Cream is one of the best-selling Antipodes products. 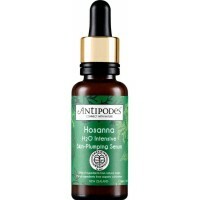 This powerf..
Antipodes Hosanna Intense Skin-Plumping Serum is a certified organic, oil-free bioactive serum that ..
Antipodes Grace Gentle Cream Cleanser is a fragrance free mild cleanser that clears impurities and r..
Antipodes Anti Aging Minis is a duo of best-loved Antipodes anti-aging products now available in min..